Read the latest ICAA newsletter here. 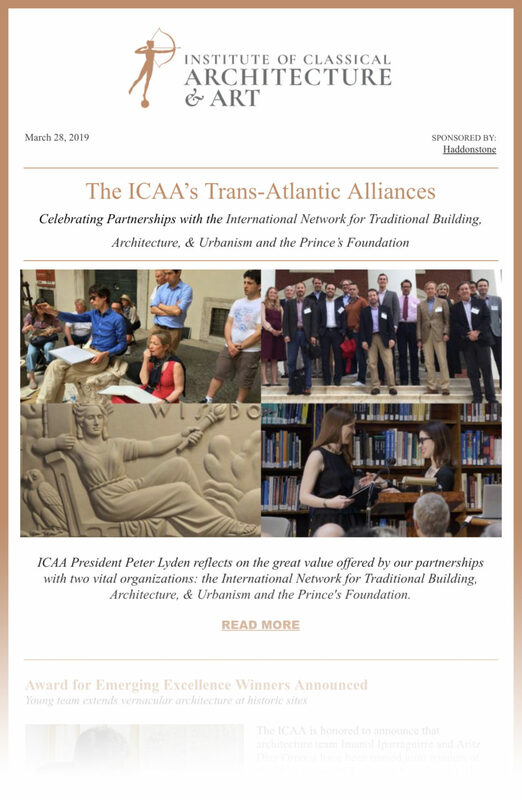 Published February 25, 2019, it features ICAA President Peter Lyden's reflections on the ICAA's partnerships with the International Network for Traditional Building, Architecture, & Urbanism (INTBAU) and the Prince’s Foundation (PF), the 2019 Award for Emerging Excellence winners, a link to the Classicist No. 15, now available online, the Suzanne Tucker Design Scholarship, and more.